Our disc filters are micron-precise, high efficient and large volume filtration capable, meeting diverse requirements on size, flow rate and filtration precision. With this disc filter, you can just clean it after weeks at a time. Just loosen the nut that holds the discs together and clean it in the water. - 120 mesh/130 micronfiltration level high efficient disk filter traps or retains large amount of particles and solids. - Disc filters are superior to screen filters when dealing with organic matter. - It is with larger filtration area which means less frequent cleaning, lowering overall maintenance costs. - The unique designed structure makes it easy to clean and easy to be assembled, even in narrow space. 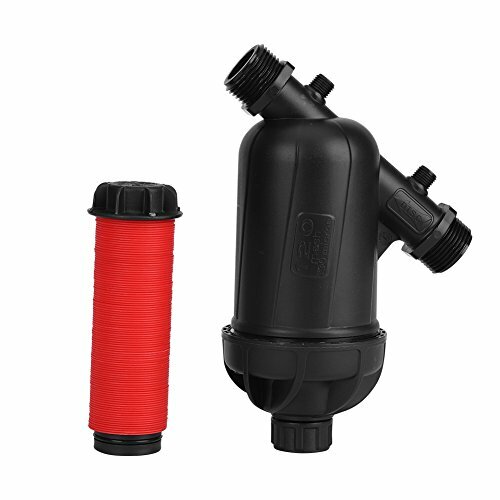 - Widely used in household water filtration, agriculture irrigation, municipal garden irrigation and industrial filtration application. If you have any questions about this product by Haofy, contact us by completing and submitting the form below. If you are looking for a specif part number, please include it with your message.